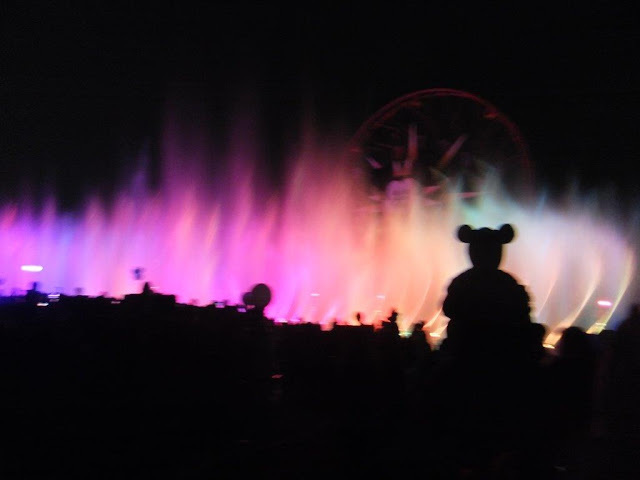 Disney California Adventure Park (CAP) – Is definitely worth going to. This park seems to change a lot with new attractions and new shows regularly. Attractions and Rides that were there for us in 2015 have now since disappeared - but with new exciting attractions. Ideally, do a ‘Park Hopper’ with Disneyland so on one day, you can visit both this park and Disneyland on the same day. 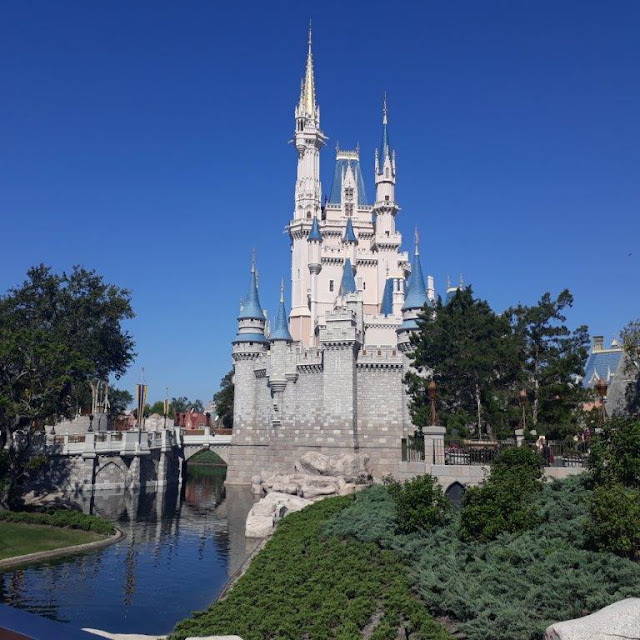 The parks are directly opposite each other so Park Hopping is something easy to do. It is probably a 5 minute walk between them! Something you won’t necessarily read about, Redwood Park inside CAP is rather nice (you know the mega huge trees in Northern California? This is a great big park within CAP with lots of nature walks, and rope bridges and things for kids and adults to climb). Redwood Park: The Rope Bridges are on the second story! Also the Grizzly River Run (above, a big tyre boat ride), has one large drop (maybe 2 metres) which looks scary looking at it, however – you don’t really feel the drop or even see it when you are on the ride itself (!) and the ride is good fun. You will get wet though if you stand too close to the rafts (where the drop is!). We did. 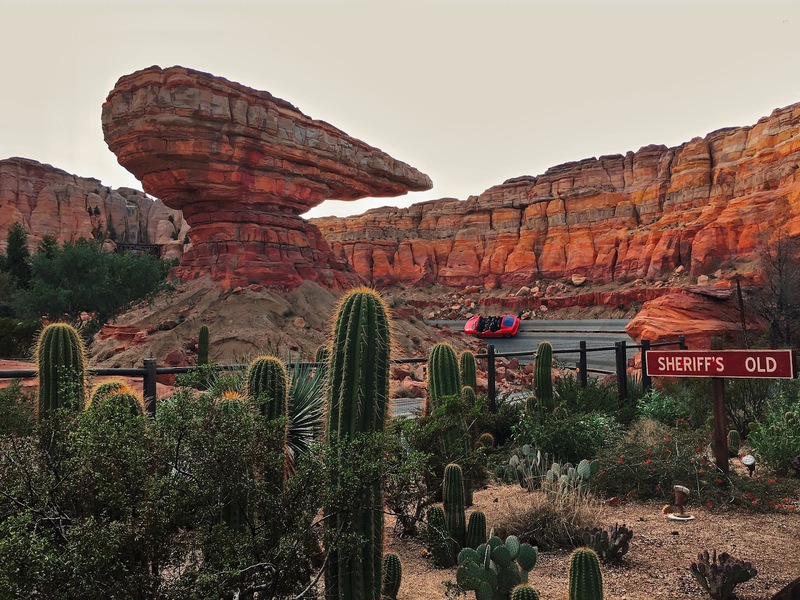 Do the Radiator Springs Ride (Cars Ride) fast pass early or single ride – this ride is very popular and fast passes sell out midday. The Cars ride goes superfast and is worth going to! We missed out on the fast passes (they disappear by midday), but we only waited 20 minutes in the single riders line so we rode that a few times that way. This ride I found better then the EPCOT version - Test Track. The animatronic cars of the Cars Ride were a highlight, and being outside in this wonderful scenery was much better then the more sterile looking area of Test Track in Orlando. I am sitting in the back seat, far left! Hiding! This is where World of Colour Night show is held! The World of Colour - you can purchase FastPasses near Ariels 'Little Mermaid ride'. These are an extra 'free' FastPass in addition to your normal FastPasses. I found though, you could just as easily see the show from the sidelines without a FastPass. The show sprays water and fire into the air and is very colourful and set to Disney Music.The show goes for 22 minutes. In 2015, the park had 'Aladdin' the musical. It was wonderful with flying carpets above your head and included an elephant. This show has now changed to 'Frozen' which is just as good apparently. The show goes for about an hour and is a good place to rest in air-conditioning. Also, don’t miss Toy Story Mania! Fun Plus! We all loved that ride and DH rated it a 6/5! We went on it twice…In Tokyo its extremely hard to get on this ride all day! Before our trip to Disneyland, my daughter was saying how much she wanted to see 'Snow' in Disneyland. And I had read that there was no snow in Disneyland, not in any guidebooks. When we actually got there - to California Adventure Park - we were amazed to find out there was an entire area devoted to Frozen. We went tobogganing. It was so much fun! I do believe this is a seasonal thing though so might not be happening all year round. Check the Disney website for more details. Yes, A.J got to make a snowman afterall! A Bugs Land closed in 2018 to make way for the new Marvel Land - to be opening 2020. Other wonderful rides in California Adventure Park include Toy Story Mania (this often breaks down) and has very long lines. It is worth going on. This was one of our favourite family rides. You get 3D glasses to wear and your job is to shoot at 3D targets. You get a score in the end, which makes it very competitive to play. You also get encouragement (and commentary) from 3D Toy Story characters during the ride. We rode this multiple times. If it is broken down, try again another time. Mr Potato Head entertains you whilst you wait in line for Toy Story Mania. He is kind of interactive and tells jokes! Other rides that are popular is Arial's Under Sea Adventure and Monsters Inc Ride. The Arial Ride line is very quick moving and easy to get on. Its a dark ride that goes through the story of Arial. The Monsters Inc ride is not as interactive as the ride in Tokyo Disneyland, but is still good fun. You move from room to room looking at characters from the movie (The Tokyo version lets you 'shoot the monsters').